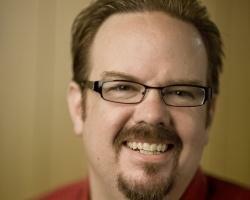 ﻿Ed Stetzer is Director of Lifeway Research, where he is developing critical data to help church leaders interpret the culture and the future of the church. Prior to that role he was at the North American Mission Board Center for Missional Research. He has been a pastor, a church planter, author of several books, and is one of the cutting-edge guys in terms of what’s happening in the contemporary church. Preaching editor Michael Duduit visited with Ed in his Nashville office. missional church—the issue of being missional. I suspect there are still some pastors out there who are saying, “That term missional is kind of like postmodern. Everybody has their own definition. What does it mean?” So, Ed, what does it mean for a church to be missional, as you understand it? missionary. And it has to do with the fact that the church doesn’t have a mission—the church is joining God in His mission. God, by nature, is a sending God. Francis DuBose wrote a book in 1983 called God Who Sends, where it has the first use of the term missional. Ultimately God is a sender. He sent Jesus. Forty times in the Gospel of John Jesus says, “I am sent.” And then at the end in John 20:21 He says, “As the Father has sent me, I also send you.” That’s us. So we’re sent to people. engaging its culture so there’s a cultural relevance to it. But ultimately it’s focused on the kingdom and the mission of God for His purposes. Preaching: If I’m in a missional church, what are the implications of that for me as a preacher of the gospel? people. And I don’t think that’s inherently wrong. I don’t think attractional is necessarily sinful. Well, the reality is that really anybody who wants to go to a cool, contemporary, cutting-edge church—whatever language you want to use—anybody who wants to go to a church like that already is. The reality is that our task is now to ask the question, “How do we engage a culture that already knows that there are great, cool, exciting churches and still has rejected them?” So number one, it doesn’t work. identified their worship style through music and think of themselves in generational terms. If that is a valid position to take, should it then make any difference in our preaching? Do you preach differently to a Baby Boomer generation than you do to the millennial generation? whatever that last generation is—the emerging, postmodern generation. Ultimately I don’t think it is tenable or healthy that the church would be split in a tri-generational approach. But the reality is what it is. One of the reasons for that is there seems to have been a shift in the way people understand preaching. You and I can walk into a church, and we can tell if we walk into a Builder church. Preaching tends to be much more of a text-based, running commentary. Maybe a Boomer church might be sermons with five points built around, hopefully, some scriptural themes. If we went to an emerging church reaching more of a postmodern generation, then it might be narrative preaching, kind of working through and threading a stacked narrative. And so I do think that there are some shifts. modernism; and now we’ve entered this postmodern age. We would expect that preaching might change in some ways. I think we need to be careful about what those ways are. generations, they tend to be more narrative. They’ll preach through stories of Scripture, and they’ll build. And they’re OK with the mystery—they’re OK with the unresolvedness of some text. I think that’s healthy. I think probably in some Boomer preaching we overemphasize that everything ended like a sitcom—in 30 minutes everyone’s happy and everything’s worked out. And so I think there is a sense that there is a shift in preaching. I think the challenge is—the shift we need to see take place in all those contexts is—more focus on biblical teaching that leads to the transformation of lives. That can be universally applied. Preaching: Effective preaching is typically culturally contextualized. We preach out of and to the culture in which we live. So it’s natural that there would be some adaptation to the way postmoderns hear because they do hear differently than Boomers do, don’t they? ultimately that truth can be irrelevant. message. But after that and before I’m about to speak I ask, “Why should these people care about this?” So I start with Scripture but introduce the beginning with, “Why should I care to listen to what the Scripture has to say?” I think that’s true in every culture, and we have to figure out how people learn and how they think to communicate to them in biblical and transformative ways. you have to have a “so what?” factor—a demonstration of why what I am saying matters. In sermons for earlier generations the “so what?” factor came near the end. Perhaps now the “so what?” factor needs to come at the beginning—that you have to connect with some of those listeners early on to help them understand why they should even be engaged with this topic. parents who went to church. But there were only four or five that really rose to the level of being statistically significant, and relevant sermons was one of them. seeing it? The answer is probably us and our communication of it. So I think it’s really important that we take the time to learn to communicate in those ways. and a serious view of the context. Unfortunately I can’t find many people who do both. And I think that’s got to be the future of biblical preaching. I think the best form of preaching is expository preaching. Those ought to be redundant words, expository preaching—preaching ought to be just normatively exposing the truths of the text. But I think also we’ve got to ask the question, “Why does this matter?” And I think we ought to recognize that we have to help people answer that question. classic model but preaching that’s driven by a biblical text. shaping my message? There are some texts that I think demand to be preached verse-by-verse. There are others that need to be communicated differently. Preaching: If you were to sit down with a pastor who is trying to make a difference for the Kingdom, what are some words of encouragement or counsel you might provide to him, based on the things you’ve learned through your research, writing and work? relationships that matter. Some of the best preachers I know have flamed out. You’ve seen it. I’ve seen it. You know, we’ve got to begin with that right relationship with the Lord. We love the pulpit; I get that. I love the pulpit, too. But ultimately we don’t have anything to bring to the pulpit unless we’ve heard from God through Scripture and through prayer. pastoring. Every single one of us. There’s only one group of people that’s going to go with them, and that’s the family. I think ultimately that you’ve got to spend time with the Lord, spend time with the family, have right relationships there. Then out of those right relationships overflows your preaching. It’s shaped by who God is and filtered to some degree by who we are. And ultimately we want to communicate from a position of right relationship with God and others. communicate the unchanging Word of God in this changing cultural context?” Biblically faithful and culturally relevant ought to be our communication style. working in a biblically faithful way through a text and showing door closing, door closing, door closing—how God opens doors and how He closes others. What a great mnemonic device. January-February 2009 issue section of Preaching.com, available at no additional cost to current subscribers.